I spent a great deal of my adolescence building balsa and tissue models of WWII warplanes. You know, the ones you spend endless days irretrievably gluing your fingers to the cardboard surface and pins you're trying to use. Not to mention the full day you spent high as a kite from the dope covering. 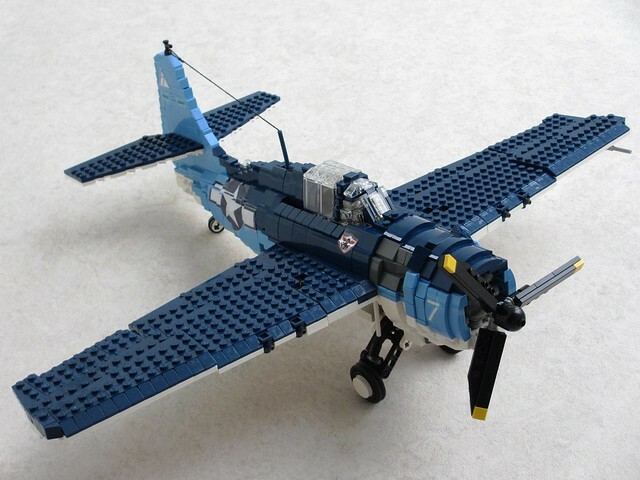 Anyway, I had a few favorites as a kid, and this plane was one of them, the Grumman F4F Wildcat. This version by Mad physicist is faithful right down the the folding wings for storage on the aircraft carrier, brilliant.